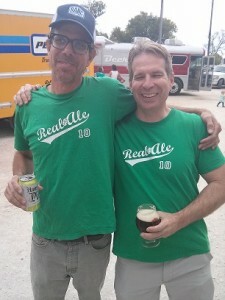 Last week marked the 8th or 9th year we were able to attend the Real Ale anniversary party in Blanco, Texas. I remember visiting them when they were in the town square operating out of a dungeon of a brewery with dairy tanks for fermenters (some of which now reside at Southern Star in Conroe). This year they are on track to hit the 60,000 bbl/yr mark and a new enormous addition should allow them to roughly double that number in the not too distant future. They are doing very well and its testament to the quality of the beer they make and the people they employ. The anniversary was one of the best organized events I have attended in some time, although the crowd was also the largest I’ve ever seen. 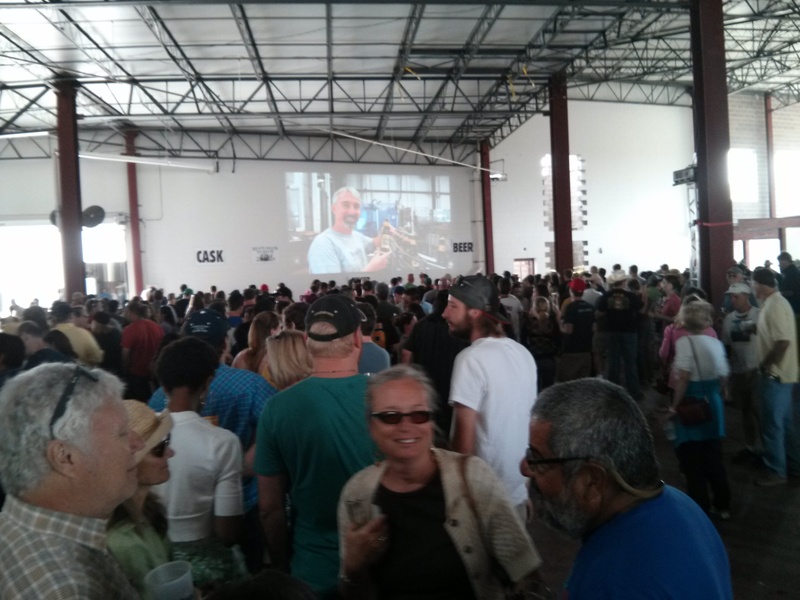 Despite having several beer lines and lots of volunteers wait times in some instances were over an hour, which is thanks to both the success of Real Ale and the exploding growth of craft beer culture within Texas. For someone that has been “into” craft beer for over 20 years the changes taking place are wonderful, but they come with challenges I can only assume were the same for other states that experienced a similar transition to widespread acceptance of craft beer. Perhaps it’s the cynic in me but it seems like sometimes those that claim to be discerning craft beer drinkers and eschew anything tainted by macro ownership are often not as discerning about the quality of craft beer they claim to promote. Over twenty years ago I started homebrewing my own beer because quality beer and more importantly different styles of beer were unavailable in Texas. Some of us sought out special beers while traveling and brought them back to share with other like minded friends. We tried to learn more about certain beers styles by sometimes tasting as many as 50 versions or more in one night. Then as now, many of us were skeptical of the role large brewing conglomerates might play in the craft beer world. Some brands such as Blue Moon and the awful Budweiser “craft-like” offerings remain examples of how companies with big money can be so off when it comes to craft beer. Obviously they have to money to hire smart people within the industry and it is only a matter of time before they either begin to produce and distribute or simply purchase more established craft beer brands to claim a larger stake in the only growth oriented market segment left. To that end companies like Coors have started huge barrel and sour programs the results of which rarely leave Colorado at this time. Others have bought out or purchased stakes in well regarded craft breweries such as Goose Island. Let’s face it Goose Island is macro owned but it still makes great beer. I know lots of publicans won’t sell Goose Island and the lines now are clearly drawn as to who is considered macro, but what if the big guys start taking small stakes in some real craft beer heavyweights like Victory or Firestone Walker – will macro averse bars stop carrying those as well? Will they carry them until macros own a majority? When do companies like Sam Adams become so large they qualify as macro producers as well? Some argue they already do (selling over 2 mln barrels a year seems “big” to me). In other states many craft beer drinkers are more pragmatic. They drink what they like and are not afraid to call a local product bad if it warrants the criticism. While many are also skeptical about macro related beer, they are not as dismissive. So that brings me to the point of this last little rant. Texas is experiencing explosive growth and a number of people have been long time promoters of Texas craft beer and allowing our local breweries to compete with those in other states on an equal playing field. Thankfully, there has been a lot of progress in that direction this year. However growth in Texas craft beer has been accompanied by a wave of new craft beer drinkers, some of whom will shower any Texas craft brewery with praise despite the mediocre offerings it produces. I specifically remember one brewery that entered the Texas market with a clearly infected beer in the last couple of years. Other brewers told them it was off, barkeeps told them it was off, yet they didn’t dump the beer and instead served it all over as their inaugural offering. While beer snobs that know bandaid flavors aren’t normal in the style they made sent back pints of the stuff in waves, others were eager to drink the “newest” craft beer offering. Somehow that brewery remains in business and to its credit (in my humble subjective opinion) it produced at least one fairly good beer since then. Another brewery that started operations even more recently launched with two fairly clean beers, but at launch events they served (and sold) test batches which were fusel/phenol nightmares. Although the general public might have accepted the botched beers as subjectively “good”, in places like Portland or Denver beer snobs would have torn them a new zwickel. I guess my point is, once craft beer culture becomes more established in Texas and the honeymoon is over new breweries will have to compete on the basis of making good beer…I’m looking forward to that day. In the meantime if I am forced to choose between a high quality German macro owned Dunkel and a sub-par local offering you know what I am ordering.